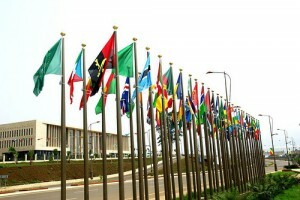 Africa’s Head of States were supposed to come together for the 19th AU Summit in Malawi’s capital city Lilongwe from 9 to 16 July. But Malawi’s new president Joyce Banda now threw a spanner in the works. 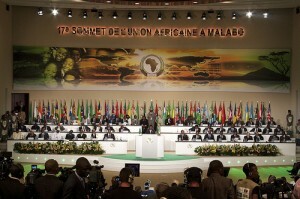 After diplomatic considerations, the venue of the annual summit got changed and will be held in the African Union’s Headquarter in Addis Ababa, Ethiopia. Joyce Banda who took over the presidency of the economic crisis shaken Malawi, tries everything under the sun to win foreign donors back. During the past two years late president Bingu wa Mutharika had lost main foreign relief funds the country relied so much on. Banda’s first efforts in office are among others aimed at stabilizing the national budget in order to promote new economic growth. The planned AU Summit next month meant a serious threat to these efforts since Sudan’s president Omar al Bashir will attend this summit. Al Bashir is wanted by the International Criminal Court in The Hague on charges of genocide, crimes against humanity and war crimes. Among other things the Rome Statute explicitly states that any state who has ratified the Statute is supposed to act according to the court’s arrest warrants. This would mean that Omar al Bashir should be arrested by every state he visits. In the past this obviously did not happen and governments have been harshly criticized for not doing so. Malawi’s Banda administration fears that foreign donors could freeze their relief funds again if al Bashir would attend the summit in Lilongwe. 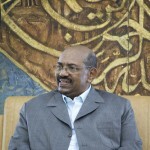 Consequently Banda requested the Sudanese government last month to send a delegate instead of the actual Head of State in order to avoid any disputes with the international community. The Sudanese government for its part refused and so it came that the Malawian government announced it will not be hosting the summit anymore. After considering the interests of Malawians, I want to inform Malawians that the cabinet met today and decided it was not interested to accept the conditions by the African Union, therefore Malawi is not hosting the summit. This step illustrates once more the importance and brisance of the actual arrest warrant for Sudan’s president Omar al Bashir. He remains a disputed point for the international community and it remains to be seen how the ICC prosecutor Luis Moreno-Ocampo will actually deal with the situation. Finally an African government agreed on wanting al Bashir arrested if he enters the country but with the move of the summit to Addis Ababa this opportunity has already passed by again. Since the African Union resists the arrest warrant in order not to disturb a member state’s internal affairs, it remains unclear if al Bashir can ever be arrested and with that ICC efforts can come to a success.